Startups and freelancers are becoming more and more plentiful in the job market. Many people are realizing the benefits of being their own boss. Even if you think you don’t have anything new to offer, you may be surprised to learn that you actually do. Online business administration classes can teach you how to manage your preexisting business, market your freelance work, or build a startup from the ground up. Business Administration covers a large variety of topics, all related to starting and managing a business. You will learn about information systems, human resources, accounting, finance, product management, sales and marketing, communication skills, and more. Even if you don’t want to start your own business, taking online business administration classes can be a good way to get an overview of all these different skills in order to narrow down what you actually want to study. Having business administration skills also opens you up to a wider pool of jobs, many of them in management. Because you have such a large number of skills under your belt, you can go down a number of career paths in many different career fields. This can help with job security as well; even if you lose your job or find the field you’re in no longer suits you, you’ll have an easier time of finding another job since you will have more options. You can get a degree in Business Administration from a variety of different universities, online and in person. That isn’t the right path for everyone, though. Someone who is already the owner of or managing a business doesn’t have the time to go back to school full-time in order to help the business be more successful. This is why online business administration classes are a good idea. One website where you can find classes is Udemy. There are over 10,000 business courses alone on Udemy, on project management, marketing, operations, and strategy, as well as business administration. Whether you’re a total beginner who has no clue how to start a business or a startup owner, you’re sure to find a class that fits your needs. 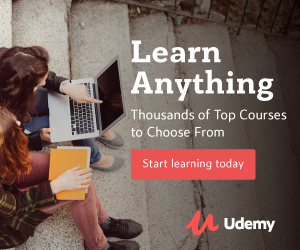 Udemy is designed so that professionals in their fields can offer the knowledge they have in a way that is accessible and affordable for everyone. If you are the owner of a small business, you can even sign up for a business plan to help train your management team. Taking courses on Udemy is a great way to learn the skills you need on your own time, in between running your business and managing the rest of your life. Managing or starting a business involves a variety of different skills. Business Administration for Your Business is a course designed to teach you the basics of running a business. You will begin by going over what an MBA (Masters of Business Administration) is and what the benefits of getting one are. You’ll then go on to learn about the key elements of running a business, such as sales and marketing, finance, value creation, and successfully working with a team. You’ll learn how to understand systems and then begin analyzing and improving those systems. The course uses real-world examples to help you see how the skills you are learning can actually be applied. By the end of the course, you should have a firm understanding of what business administration is and be ready to potentially pursue an MBA. If you are a high school or college student who participates in the DECA program, there is a course designed to help you grow your business administration skills in order to take part in DECA competitive events. Intro to Business Administration can also be taken by anyone who is wanting a firm foundation to kick-start their business administration career. The course uses video lectures to build your business administration knowledge, as well as sample questions and case studies from actual DECA competitions. You will go over all of the fundamental areas of business administration, such as business law, communication, economics, finance, human resources, marketing, and operations. Each section goes through different performance elements associated with each area of business administration. If you’ve never participated in a DECA competition before, the course also goes over what to expect and provides some tips and tricks for competing. By the end of the course, you’ll be fully prepared to participate in a DECA competition and even if you don’t quite feel ready, you’ll be supplied with additional resources to help get you there. Want to start a business but don’t have the first clue on how to start your business plan? The Complete Business Plan Course can help with that. In this course, you will learn how to create a business plan from scratch, whether you’re launching a startup or trying to boost an already established business. The class is designed around thirteen steps you need to follow to create your business plan and these steps are gone over in detail to make sure you have a firm understanding of what you need to prepare to write your plan. You’ll start by creating a general business plan, then move on to your executive summary, input questions, analysis, and outputs for your management team, sales and marketing strategies, your financials, milestones and goals, and more. If you are lost on how to put it all together, there are 50 different business plan templates you can go through to help you. There are also 25 presentation templates for you to use when it comes time to present your business plan to your team or potential investors for your startup. All the tools you need to create a successful business plan are in this course. By the end, you’ll have a strong business plan and a presentation to help you show it off. Maybe you want to start a business but the business plan isn’t the only thing you need help with. It can be difficult to get a business off the ground if you don’t have any idea where to start. Business Bootcamp: 7 Weeks to Start Your Own Business is the way to go if you’re wanting to launch your own business. You don’t need to do anything prior to taking this course, it guides you through the whole business creation process. You’ll begin by identifying what profitable skills you have and also your passions. You’ll learn how to start freelancing and get ideas for what your new business could be. Next, you’ll learn how to do market research and figure out who the target audience for your product or service is. Once you’ve got that down, you’ll need to start building your online presence through social media profiles and your own website. Next up is finding your first clients and using them as a basis to continue finding more clients. Your business is already off to a good start at this point but you’ll need to learn how to manage your business and scale it up. By the end of the course, you won’t necessarily have a fully running, six-figure business but you’ll know how to get one started and how to keep it going. Already a small business owner or manager? Even if you’ve already started your business, there are still more skills you may need to learn in order for it to prosper. Business Model Innovation: Differentiate and Grow Your Company is designed to offer you strategies for growing your business. It is also designed to help you stand out from your competitors. You will learn about what makes a business and what systems are in place. The course goes through different business models and provides real-life situations so you can see how they are applied in real life, at startups, small businesses, and large corporations. “Disruptive startups” are steadily taking over huge sections of the market and this course will show you how they’re doing it so that you can too! You’ll be taught how to innovate, in product and design, marketing, customer engagement, processes, and revenue streams. The course also goes over the psychology of purchasing, a.k.a. why people buy things and how you can use this to your advantage. At the end of the course, any aspiring entrepreneur or business owner should have enough knowledge and skills to help make their business a success. Whether you’re wanting to finally start the business you’ve always dreamed of or just gain some extra skills to help with your job search, online business administration classes are a great way to build your knowledge base. Managing a business is difficult and that is why so many new businesses fail in the first few years. You can help yours to succeed by having a firm foundation and understanding of how to keep the business going. Even if you’re just not sure what career path to go down, business administration skills are useful for many reasons and it never hurts to gain new knowledge.